Dale G. Turnpaugh, Sr., 80 of Onward passed away on Tuesday, July 3, 2018 at his residence. Born on July 10, 1937 in Cass County, he was the son of the late Roy O. and Ida S. (Eskew) Turnpaugh. Dale was U.S. Army veteran. On December 19, 1959 he married Veronica J. Mettler, she survives. 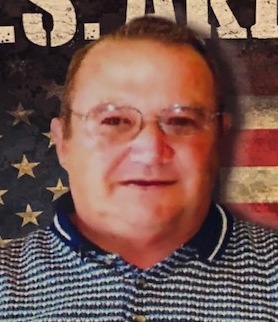 Dale was formerly employed at Eck Adams in Peru, Hendrickson Motor Sales for 17 years as a mechanic, he was a former paper processor and served warrants for the Cass County Sheriff’s Department and was a former service manager for Donato and Son’s. He was also the former Director of the Cass County Civil Defense for over 35 years. Dale was a member of the Refuge Worship Center in Logansport. He enjoyed tinkering outside, making wood crafts for his family, working with his hands and spending time with family. Survivors include his wife, Veronica Turnpaugh of Onward, his children, Dale Turnpaugh, Jr. (Deb) of Onward, Cindy Neff (Tim) of Walton and Kevin Ward (Carol) of Monticello, brothers, Bill Turnpaugh (Karen) of Logansport, Tom Turnpaugh (Julia) of Onward, Ronnie Turnpaugh (Doreen) of Peru and Larry Turnpaugh (Rozanna) of Onward, sisters, Bonnie Carpenter of Onward and Judy Brown (Daniel) of Kokomo and grandchildren, Tony Turnpaugh (Brittany), Nicole Hall (Lucas), Shantel Turnpaugh, Ashley Turnpaugh, Scot Gaby (Erica), Jennifer Myers (Jed), Lauren Price, Ben Neff, Terra Foor (Kyle), Tiffany Galloway (James), and Tim Smoot (Dallas). He is also survived by 17 great grandchildren and numerous nieces and nephews. He was also preceded in death by brother, Hobart “Tub” Turnpaugh and his wife Marlene. A Celebration of Dale’s Life will be at 11:00 a.m., Tuesday, July 10, 2018 at Marocco-Rans Funeral Chapel with Pastor David Payton officiating. Visitation will be from 4:00 to 8:00 p.m., Monday, July 9, 2018 at the funeral home. Burial with Full Military Rites will be performed at Ever Rest Memorial Park. Memorial contributions may be made to the Turnpaugh family.